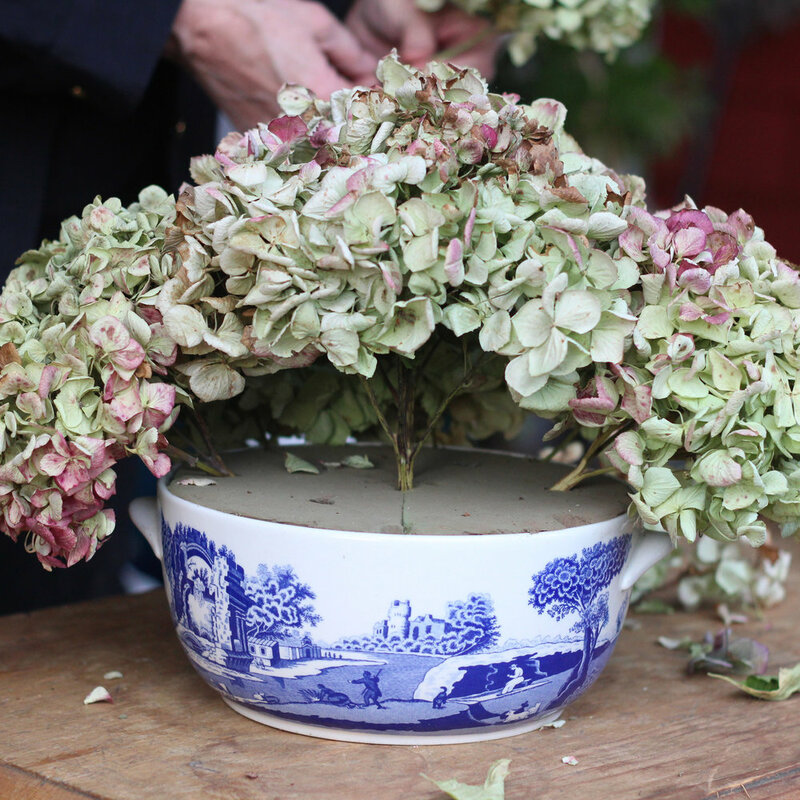 You can buy dried hydrangeas at a flower mart or dry them yourself. For this arrangement you will use dry floral foam, as opposed to wet pack floral foam. 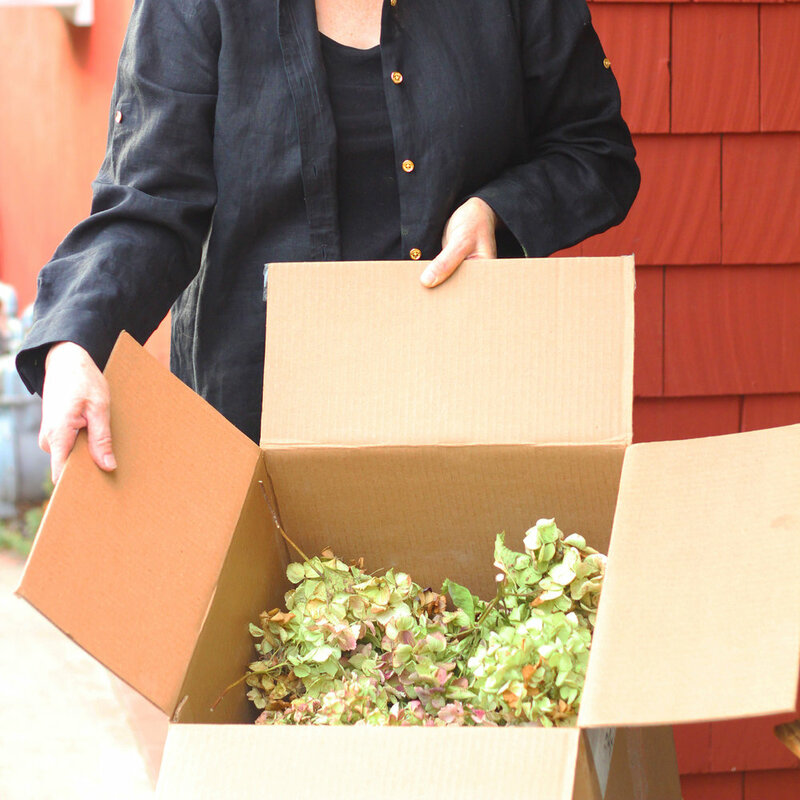 Dry floral foam is made specifically for silk or dried floral arrangements. Well, get your Deep Dish, some dried hydrangeas, and dry foam and we are ready to begin. Trace the shape of the rim of the bowl with a knife. Cut the foam to fit the bowl with a produce knife. Fit the two pieces of foam into the deep dish. Now you will start adding hydrangeas. 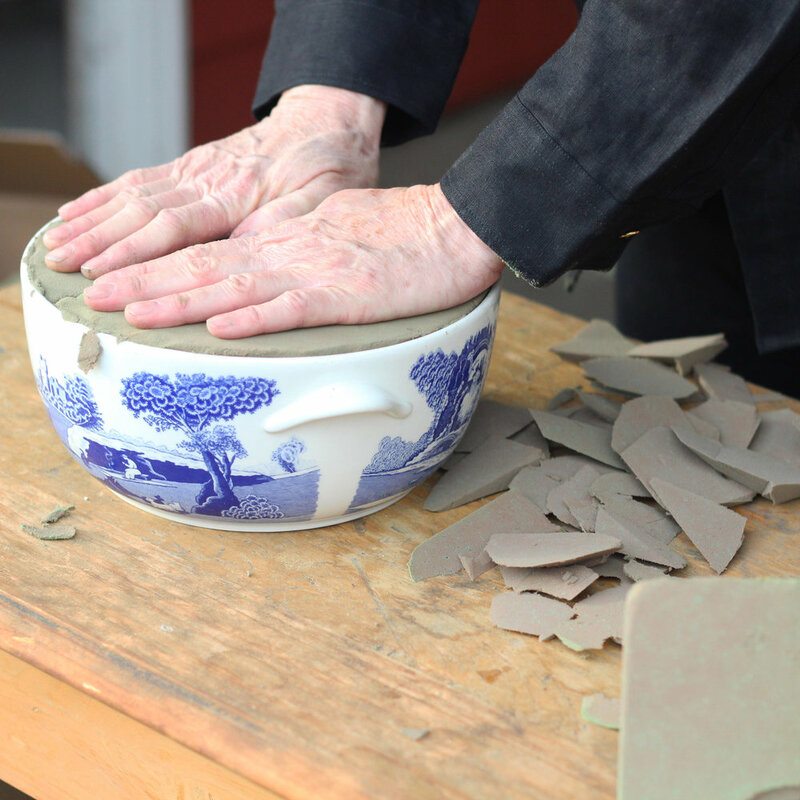 Start with inserting pieces into the center of the arrangement. These will be the highest pieces and will give shape to the arrangement. Fill in, inserting at an angle until there are no gaps. What do you think Dobie? Oh, there is no water in this one for you to drink. Sorry dear. Enjoy the subtle hues in this, on a table or on top of your China hutch.